If you’re looking for a solid pair of CrossFit shoes, you are in the right place. 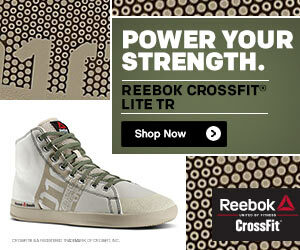 Keep on reading our buying guide to the Reebok Men’s CrossFit Lite Tr shoes. It’s packed with information to help you decide if they’re the right pair of sneakers for you. 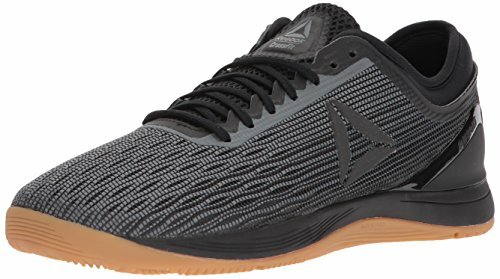 The Reebok CrossFite Lite Training Shoe for Men is a different kind of CrossFit Shoe. The style and design are similar to old-school hi-top Converse shoes. 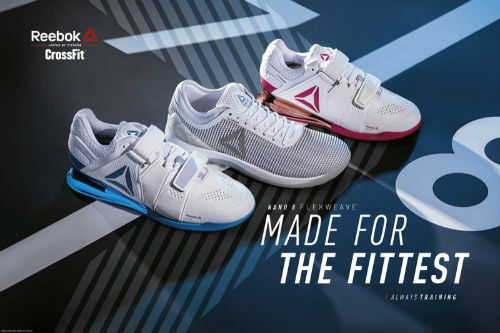 However, Reebok has incorporated the latest innovations and turned out one of the best CrossFit shoes for CrossFit Workouts focused on lifting. We love the Reebok CrossFit Lite Training Shoe and we think you’ll be happy with them too. 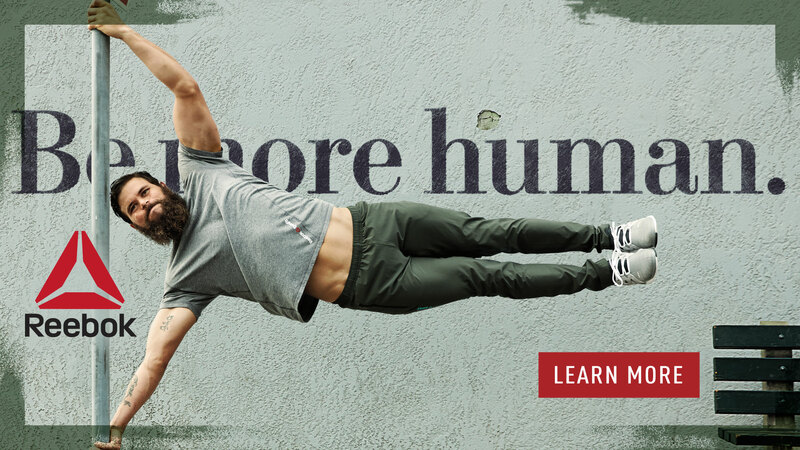 They’re affordable, comfortable and designed for serious WODs. 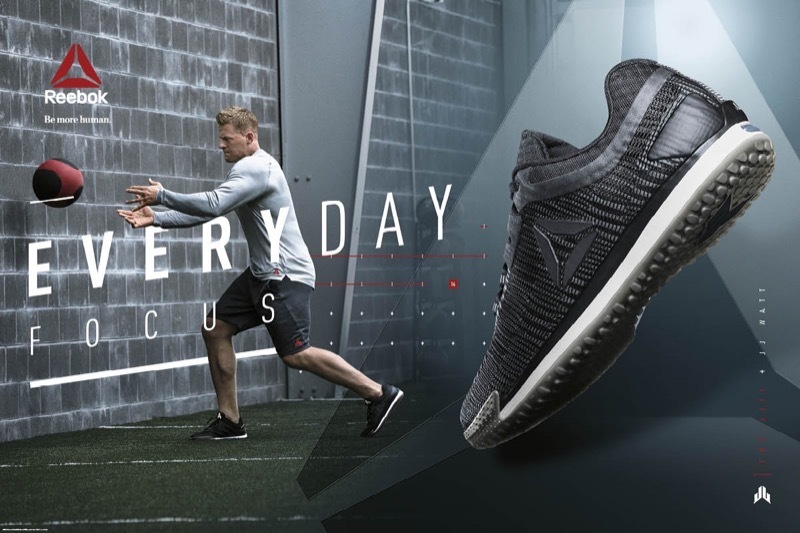 The Cross Fit Lite Training shoe for Men has a ton of features that will help you achieve your maximum athletic performance. 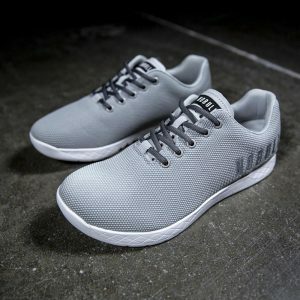 Some of these include great features include a padded tongue to ensure a comfortable fit, non-slip rubber sole for extra stability while lifting, sock-liner cushioning for added comfort, heel clip, and a wide toe box for those serious leg workouts. One of the things we particularly like is the DuraGrip toe cap on the upper that offers some protection as well as abrasion resistance for increased durability. Plus, the full rubber outsole featuring duragrip offers some serious grip. After all, the last thing you’ll want to worry about when going for your personal best is what’s on your feet. 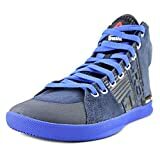 When you think men’s athletic shoes, clothing or other accessories, you probably think Reebok. They’re well-made, durable and will last you a long time. Reebok is a company that stands behind their products and you really couldn’t go wrong with any of their products. Do you remember Chuck Taylors, those canvas shoes from way back that you can still find around today under the brand Converse. Weightlifters have been using them for years because of their minimal heel lift. Although they don’t offer a lot of support, some people swear by them. The high-version of the CrossFit Lite is very similar to the high-top Chuck Taylors. And the low? Also quite similar to each other. This sneaker is kind of a cool offering from Reebok, but there’s really nothing new under the sun here. When you wear these to the gym, you’ll probably get a lot of compliments! They look sharp, and are fashionable enough to wear around town. Reebok has done a great job at coming up with some retro-looking designs and colours that are nice enough to wear for just casual use. If you’re the type of person who gets really sweaty feet during a workout, then you’ll perhaps not be a fan of these hi top lifting shoes. Unlike something like the Nike Metcon 4, or Reebok Nano 8, they don’t have a mesh upper. Add to the fact that they’re a hi-top shoe and you may have a problem if you tend to run hot during workouts. Some people find this to be a big problem, others not so much. It really just depends on you. Some people think they look cooler in Amazon pics than in real life! Some “interesting” styles and designs. Some are basic colors (black, white, grey, blue), but then they’re overlaid with designs. If you’re searching for the best CrossFit shoe for workouts focused on running, these ones are not it. There isn’t enough cushioning, and the heel to toe drop is too minimal. The toe box is also too big and you will likely feel pretty clumsy while running in them. Even walking a few blocks to the gym from your house may be uncomfortable in these. They really are designed for workouts very heavy on the lifting and not much else. 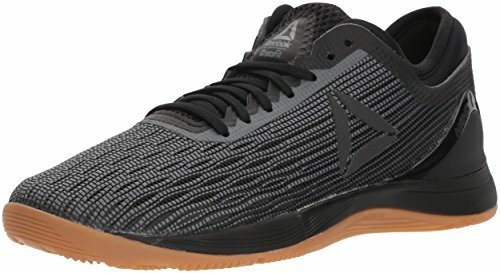 If you’re looking for some shoes that are perfect for sprinting heavy CrossFit workouts, then a better choice would be the Reebok CrossFit Sprint Shoe. They have an adequate heel to toe drop for running, a smaller toe box and extra cushioning. 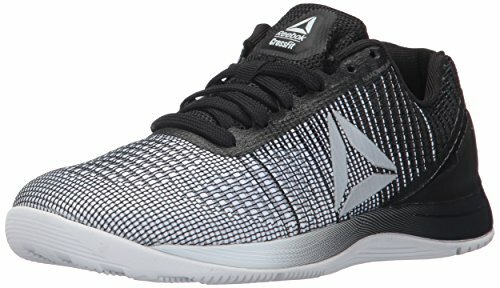 The Reebok CrossFit sprint is actually the opposite of these shoes-mostly designed for running but can handle a bit of lifting too. While these crosstraining shoes aren’t great for running, where they do excel is lifting. 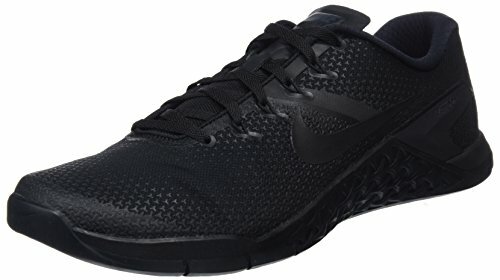 It’s in fact what they’re designed for and you’ll likely be very happy having these athletic shoes on your feet for your next heavy weight workout! 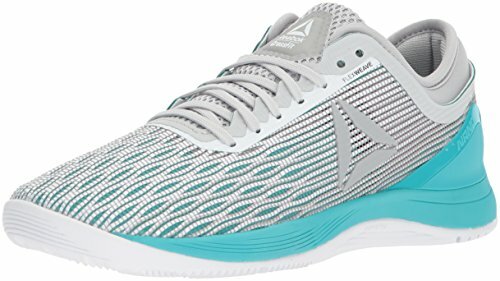 They are perfect for weightlifting because of the small heel to toe drop, rounded and roomy toe box, non-slip carbon rubber heel, and a heel piece for added stability when lifting. May Work if You Have Flat Feet? If you have flatter than normal feet, you may find it difficult to find the perfect pair of sneakers for sports or workouts. That’s because many shoes have kind of an aggressive amount of arch support which you may find uncomfortable. 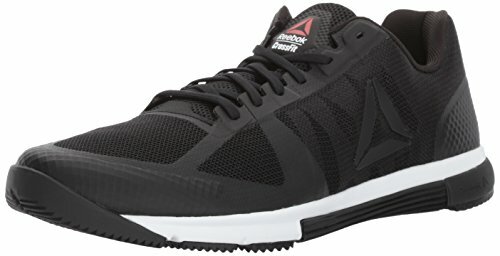 If you like to do CrossFit workouts heavy on the lifting, the Reebok Men’s Crossfit Lite TR Workout Shoe are the shoe for you. They are very stylish, with a retro feel to them, but the best part is that they have all the latest technology from Reebok. They are made for lifting and you’ll feel extremely stable when wearing them for any sort of arm or leg lifting workout. 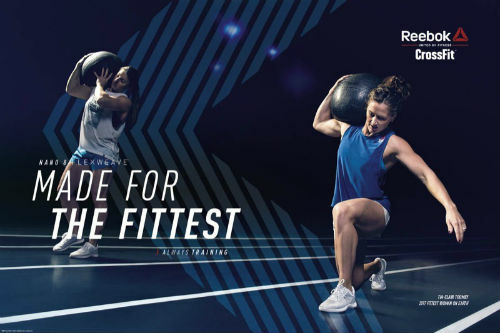 Reebok is one of the most trusted names in this space, and has a great reputation for making top-quality athletic shoes for serious CrossFitters. 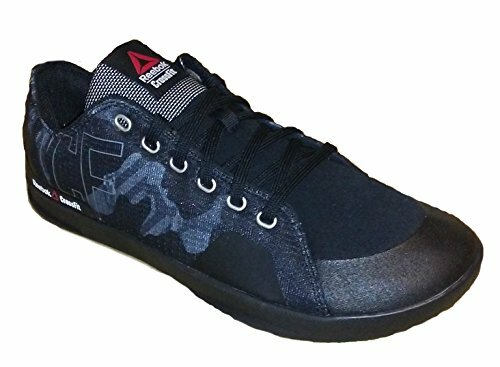 We LOVE this shoe that’s ideal for lifting, but can stand up to some jumping, rope climbs, and sprints. Try it out for yourself and we’re sure you’ll agree. If you’re into lifting, the thing you’ll love best about this shoe is the flat, sticky sole with a minimal heel-toe drop. This can give you some extra stability when doing things like squats, lunges or deadlifts. And it’s also ideal for giving you a nice platform when lifting any sort of weight. Besides that, the toe box is very durable and there is a nice level up support in the arch, especially when you consider how flat of a shoe it is. However, they’re not for running, so keep them in mind when purchasing them. They’re also not ideal for sports, but instead should be used exclusively for gym workouts. What are your thoughts about the Reebok Lite TR shoe? Is it the must-have item of the year? Leave a comment below and let us know what you think.